On St. Patrick’s Day, March 17, 1847, volunteers from the Boston Laborers Aid Society (consisting almost entirely of Irish immigrants) began the onerous task of loading thousands of barrels of provisions on board the USS Jamestown in Boston’s Charlestown Navy Yard. The US Navy sloop-of-war had been loaned for private use. It would be the first time in United States history that a Naval vessel was placed under the command of a civilian master mariner for a private relief mission. The specific purpose for which she had been loaned was to transport relief supplies to Ireland during the darkest days of the Great Hunger. There had, of course, been tremendous concern in Boston, especially among Irish immigrants, over the terrible potato blight that struck Ireland in 1845, resulting in such starvation. During the winter of 1846-1847, the dismay spread beyond the Irish community to the Bostonian public at large after the potato crop failed (again) on a massive scale and Ireland endured one of its most brutal winters in memory, augmenting the suffering. A group of Boston businessmen pressed Congress to provide ships to transport supplies being gathered in Boston and New York. Congressman and former Speaker of the House Robert C. Winthrop of Boston led the legislative effort. 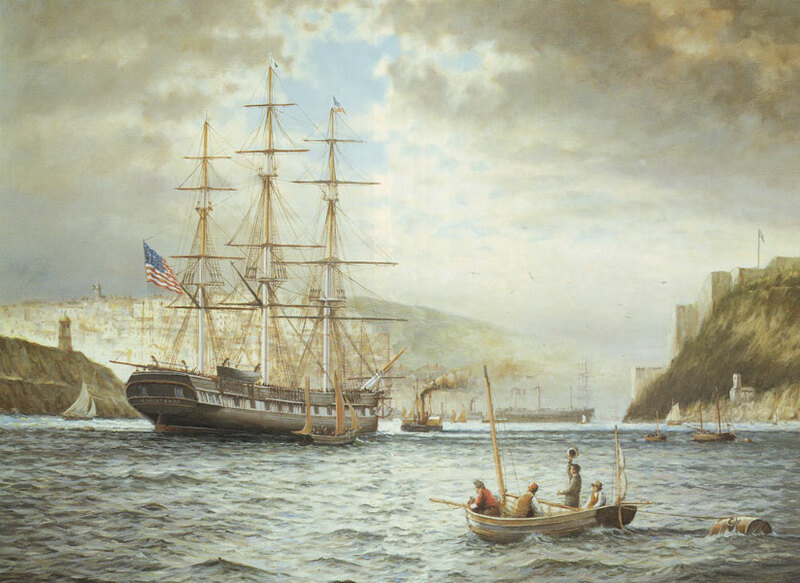 On March 3, 1847, even as Congress was preoccupied with the Mexican War, a joint resolution passed both Houses and the Secretary of the Navy was authorized to release two vessels into relief service. They were the USS Jamestown, then in Boston, and the USS Macedonian in New York. The individual placed in command of the Jamestown in Boston was merchant Capt. Robert Bennet Forbes. 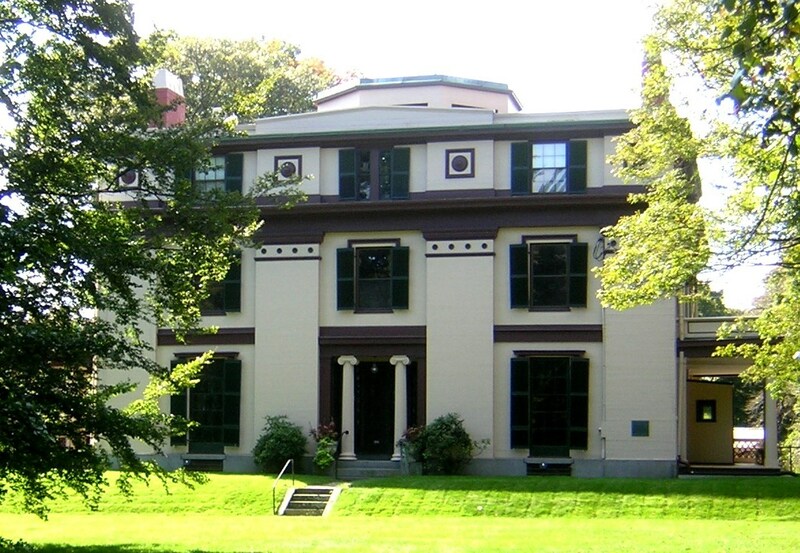 Born in 1804 in Jamaica Plain, Massachusetts, Forbes had been raised as a mariner from a young age. He was primarily engaged in the China Trade, having made his first voyage there at age 13. 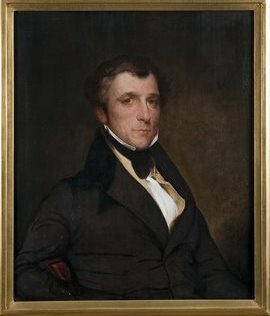 By the late 1830s, Robert Forbes was managing the largest American trading operation in China, known as Russell & Co., and was heavily involved in the opium trade. Forbes invested a good deal of his profits in shipbuilding and became one of the most active and prominent owners of merchant vessels in Boston. A man so successful, so experienced at sea, and so well connected with Boston’s elite made the logical choice for such a high profile voyage. The Jamestown departed Boston on March 28, 1847. Her voyage was a swift 15 days, arriving in Cobh on April 12. The Jamestown was welcomed by cheering crowds, a band playing “Yankee Doodle” and numerous British and Irish dignitaries. Many an Irish poem would be written about the day the Jamestown arrived. On this expedition, Forbes made the grave but perfectly understandable mistake of trying to give away cash to the poor souls he saw in the streets. His generosity soon attracted a crowd, then what might be called a mob, struggling to obtain a coin or two. They nearly overwhelmed him.